Boxes are your best friend during the almost-always stressful process of moving. They help keep your things organized, they make moving small items easy, and they’re easy to stack, pack, and store. Just like any other friend, you would never just throw them away when you’re done with them, right? Right? 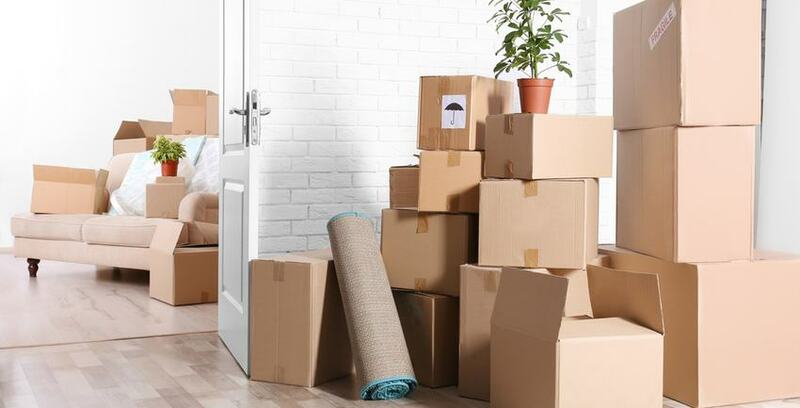 While it may seem hard to believe, there are plenty of things you can do with your boxes after you’re done moving. We’ve listed our seven favorite potential problem-solving projects below. This suggestion probably doesn’t need to be said, but you can always just hold onto them. There’s no harm in having a few moving boxes lying around for when you might need them. Maybe in a few months you’ll decide to donate a bunch of books to the local library or start going to the local farmer’s market more. They don’t have to be in the middle of your house, obviously… you can always store them in the storage unit we’re sure you already have. Somebody is always moving. Post on social media and ask. For all you know, someone you’re close to might be more than happy to take those used boxes off your hands. These are all online services with easy-to-find areas that can connect people with boxes with people who need them. BoxCycle is a marketplace specifically dedicated to buying and selling used moving boxes, U-Haul is home to a message board dedicated to people in the process of moving, and Craigslist... well, we all know that you can find anything on Craigslist. There are a lot of charities that could benefit from your boxes. Food pantries can use them to box up produce and canned goods for families in need. Libraries can always use books for book sales and storage. Community outreach centers are always in need of help, too - all you have to do is call and see. Cardboard is a compostable product. If you have a big enough compost bin, you can break down the cardboard and do the world a favor at the same time. Fair warning, though: if you have a ton of boxes, this option isn’t particularly viable. Most communities have some sort of program set up for people in need of recycling large amounts of cardboard. You won't be able to count on anyone coming to you to pick up your boxes, but with just a little Googling you can easily find the closest recycling center to your location. We’re not going to lie, this is our favorite option on the list. If you’re just going to end up recycling them anyways, why not have a little fun with your leftover boxes first? No matter what, there are plenty of options for both you and your moving boxes.